To be a Leader you need to be going somewhere. Do you know where you are going? Do you want to be a Leader? These are two of the many questions you have to answer to become a Leader. First and foremost to be a Leader you have to be going somewhere. Now this may seem to be an over simplification of what it takes to be a Leader. Of course it is an over simplification. These are just the first two questions you have to ask yourself before you can even dream of being a Leader. Do you want to be a Leader? If the answer is “Yes” then you have to be going somewhere. Are you going somewhere? If the answer is “Yes” then you have to ask yourself if you want to be a Leader. Again, seems simple doesn’t it. I know some people who have a full head of steam, and they were going places. The thing about them is they did not want to be Leader. They know where they want to go, but they are perfectly happy being loners or doing things on their own terms. Then there are people who want to be Leaders, but they are not going anywhere. This to me is a very frustrating place to be; because you see, people who want to be Leaders but don’t know where they are going do not want to see you get where you are going. This post is not going to answer all of the questions a Leader will have to answer. No, this post is just to state a simple fact. To be a Leader you need to be going somewhere. See if you are just running around in circles, people will notice. They may even ask you, “Where are you going?” You may or may not have answer, and the answer may or may not be true. Some people may just follow you. They may ask you “Where you are going,” or ask if you need help. Do you have an honest answer? Sooner or later, if you are just running around in circles, people will not follow you any longer. To be a Leader you need to be going somewhere. Where am I going with all of this? Good question. I know some people who are incredibly driven, but they are not Leaders. They do not explain where they are going to the people around them. I know some people who want to be Leaders, but they really don’t have a plan worth signing up to follow. They usually spend a lot of time throwing stones at other people’s lives. If you have somewhere you are going, and can see the value of working as a team, then maybe just maybe you have want it takes to be a Leader. Now there are many more items on the list. You have to be able to explain where you are going and why, if you want people to follow you. You may have to challenge people to step up their game to keep up with you. 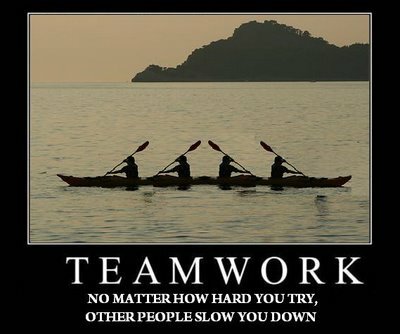 You may have to slow down a minute so you do not tear the team apart. You may have to teach people how they fit into where you are going, but it is all worth. Bottom line though, to be a Leader you have to be going somewhere. Again, this post is not about all the things it takes to be a Leader. No, it is just to state the simple fact, you have to get up and do something to merit being a Leader. You can not just be running around in circles yelling “Follow me!” After a while, people will get tired of spending a lot of energy to get no where. There needs to be a plan, there needs to be a goal, and there needs to be a purpose. If people are going to follow you, they deserve to know where you are going. If you want to be a Leader, you need to be going somewhere. First and foremost I have to thank my wife for being the inspiration for this post. A lot of things I post are things my wife and I talk about every day. We are trying to find our way to help make the world a better place, or at least make a better place out of our corner of the world. People need to Be R.E.A.L. – Reliable, Energetic, Authentic and A Leader. Now let me start with a disclaimer. A lot of people who run around saying “Be Real” are as fake as it gets. So when I say be R.E.A.L. notice I am using an acronym. Be R.E.A.L. – Reliable, Energetic, Authentic and A Leader. So what is the difference? Well use this litmus test. Does the person saying “Be Real” or “For Real” have something to gain by you making a quick decision in their favor? Is the person trying to convince or pressure you into something before you can check the facts? Then they may be trying to scam you and are not R.E.A.L. Be smart enough to see past the Wingman or Wing woman who is telling you to trust the person; they could be in on the scam. Being R.E.A.L. – Reliable, Energetic, Authentic and A Leader takes time, but I only have 60 Seconds to break this down for you. So, here I go. Be R.E.A.L. – Reliable, Energetic, Authentic and A Leader. Be Reliable. Are you dependable? Are you on time? Do you do what you say you will do? Listen step one of being R.E.A.L. is being Reliable. To find out, you have to Make Plans, Set Goals, Make a Schedule and Track your Results. It is so easy to say and so hard to do. Being Reliable means you have a track record for doing want you say you will do, you have a track record for standing up for what is right, you have a track record for admitting when you are wrong and you have a track record for fixing the things when you mess up. Operative phrase here is “Track Record” don’t fall for the quick and easy pitch. This is step one of Being R.E.A.L. and not everyone qualifies. Don’t fall for the people who say “Be Real” watch people who have a proven Track Record of being Reliable. Now Be Energetic: Being reliable is step one, now you have to get active, vigorous and full of life. If you have a proven track record, then hopefully you are excited about making the world a better place! You have plans, goals, a schedule and a proven track record. Now have the energy to set your plans in motion. Now have the energy to reach your goals. Now have the energy to get ahead of schedule. Now have the energy to break your records! The world can drag you down. I get dragged down by people who talk about being real and then take advantage of you or do not show up when you need them. I am uplifted by people who are Reliable and Energetic. Be Authentic! Be true, be valid. Be what you say you are. Does this reinforce being Reliable? Yes it does. A well maintained Chevette can be a reliable car; but a well maintained Chevette is Not a Corvette. Be what you say you are; don’t make a bunch of false claims. Listen, there is a balance you have to maintain. Yes, Dream Big, and yes Be Reliable and Be Energetic; but when you are setting your goals and making you plans, set realistic goals, and then stretch them slightly. Stretch your goals enough so you have to reach for them but you can still reach them! Big Dreams need Strong Teams. Do you have the Time, People Power and Resources to reach the goals on schedule? The bottom line on being R.E.A.L is being a Leader! Take the bull by the horns, and I mean when you hear something the sounds like Bull, take it by the horns and Lead it out the door. If everyone around you is Reliable, Energetic and Authentic, you can get a lot done by just setting things into motion. If people are not who they say they are, they can train wreck everything you are trying to do. A Leader has to know how to keep things on track, a Leader needs to know how to keep everyone focused on the goals. A Leader needs to know how to include everyone who is trying to help out. And sometimes a Leader needs to know when to leave people who are disruptive or deceptive behind. Not everyone will be heading in the direction you and your team want to goal. I have never heard of a Plane heading to California stop and turn around and go To New York because One Person got on the wrong airplane. If you are Reliable, Energetic, Authentic then you understand that the Busses, Trains and Planes have to run on Schedule. Do not let people who are “Faking” it derail you. Be a Leader, help make plans, help set goals, help make the schedule and help keep things on track; but as a realize as a Leader that everyone has to pull together, everyone has to pitch in, and everyone has to do their fair share. You can lead a leader to leadership but you can’t make them lead. If you are new to 60 Seconds of Motivational Mojo, this title may make you wonder for a minute. I guess that was my point. To paraphrase a popular proverb about a horse and water; “You can lead a leader to leadership but you can’t make them lead.” I have been involved in a sweeping discussion about Leadership, Vision and Courage to Act. The discussion has revolved around the definition of a Leader, and that everyone has Leadership Potential. So if you want to know more on my point of view, keep reading. You can lead a leader to leadership but you can’t make them lead. Ok, first let’s assume that everyone is a Potential Leader; they just need to be given the chance to lead. Let’s say that everyone has an idea or opinion on how they could make something better. Come on, we have all been there. Listening to people complain about their jobs or their lives in general. Someone says that someone should do something; and then nothing gets done other than placing blame and going back to the same old same old routine. Now, let’s take that person who says “Someone should do something” and ask them what should be done? Do your think they really have an answer? If they do, ask them one simple question; “Why don’t you do something?” Now does this sound harsh? To challenge people to put their money where their mouth is? Is it wrong to challenge someone to back up their words? I am not talking about physical confrontations. I am talking about challenging a (Potential) Leader to stand up and take the Lead. You see leading takes action, and action takes effort; and not all Leadership is Dictatorship. People may actually not want to do what you suggest. Are people scared to actually voice their opinions’ in a group setting? Is peer pressure or the fear of failure too great to stand up for what you believe is the right thing to do? I think sometimes people lack the courage to act on their ideas. They have been told their whole lives to play it safe and not make waves, and go with the flow to the point where they no longer believe in themselves. I think that everyone has a vision, no matter how grand or small; but most people lack the courage to act. So some people, who are good a speaking in public, they voice their opinions’ and people follow; while others are too afraid to voice their opinion in public, but they will sit in their small circle of friends and complain all day long. Following does not take as much effort and nowhere near as much courage as leading. You can’t force people to lead. Man what would it take to get them to stop complaining and placing blame though? Trust me, I say all this out of love and respect for the people who read 60 Seconds of Motivational Mojo. I am saying the “misery loves company circle” is a trap you can not allow yourself to get stuck in. If you are surrounded by people who are saying “Someone should do something” and no one is doing anything, you must find a new circle. Otherwise you can get stuck in a very deep rut where nothing ever changes, no matter how much complaining you do. Be brave enough to stand up and put things to a vote. Be brave enough to try to find an answer and make a change for the better, no matter how small. You can lead potential leaders to leadership but you can’t make them lead. OK, how do you make the change? First try to figure out what is wrong without throwing a lot of stones at anyone. Simply, what is the problem, and how can we fix it? If you have an idea, ask people what they think; and take their input and advice. This is not just a “complaint department,” this is the “propose a solution department.” Once you think you have an idea that everyone or at least most people can live with; take it to the person who has the power to make the change a reality. What do you have to lose? Did you really lose if they say “No?” You tried; you stood up and tried to make a difference. Now even if they say “No,” at least they are aware there is a problem. The next step is again, to ask for more input; what else can be done that can change the situation? Maybe you can still find an answer that is better that what is currently going on. Or you can give up and complain. You can lead a leader to leadership but you can’t make them lead. A leader has to believe they can make a difference. This is an art and a skill, and any skill needs practice. If you will not learn how to bring about small changes in small groups, how are you going to bring about large change in large groups? You have to believe that there is an answer. You can lead a leader to leadership, but you can’t make them lead. Maybe if I type it enough times, maybe if you read it enough times; you will start to get it. Really listen to the people around you, do they complain and never have an answer? Do the people around have answers and never follow-up on them; or do the people around you believe they can make a difference and then take their shot? Do not allow yourself to get caught in an endless parade of pity parties. Get around people who are committed to making a difference and get involved. You can’t make a person a leader. I can’t make you a leader. Everyone has to find the vision, the commitment to the vision and the courage to act inside themselves. Start with small changes in small groups and work your way up. What do you have to lose, by taking the lead? Nothing, you have everything to gain. If you have a vision, you have a dream, do you think it will fall out of the sky and into your lap? If you have an idea, do you think someone will do it for you? What do you have to lose by learning how to be a leader? Nothing, you have everything to gain. Let’s run this down. Excuse Number One. I don’t have any time. Let’s say you have a great Idea, and you just don’t have the time to make it a reality. Someone else comes along, takes your idea, and makes it a reality. After they have retired do you think they will give you a big chunk of the profit? What if the person does not even know you, they just wound up with the same idea you had? You have to make time to chase your dreams. In the beginning there will be no money, no resources except for the time you spend. Take your idea, write it down, make it clear, figure it out, work on it, and get others to see the vision and help you. Learn to lead a little at a time with the goal of making your vision realty. What do you have to lose? The only thing you have to lose is the excuses you are making. You have everything to gain by trying. Excuse Number Two. I don’t have any money. Neither do I, but why would you let that stop you? Necessity is the mother of invention. If your idea is a good idea, draw up your plans and take them to an organization like S.C.O.R.E. They can help you get a business plan together. Then you will have to build your team. Get some like-minded people together who want to do the same thing you want to do, and work on your idea nights and weekend, until you gain some traction. What do you have to lose, by learning how to be a leader? Nothing, you have everything to gain! Excuse Number Three. I am not a Leader. OK, then volunteer somewhere any where, and learn from the people who are leaders. This is a lot cheaper than going back to college. Figure out what you want to do, and get around people who are doing it, and learn directly from them. Again, what do you have to lose, except another excuse? Excuse Number Four. No one will follow me. No one will follow me either, but it does not stop me from trying. Figure out what you want to do, and invite people to come along; but do not wait for them. Do what you are setting out to do, even if you are the only one who does it. If you get good people will notice. If your friends will not come along, make new friends along the way; friends who are heading in the same direction you are heading. What do you have to lose? Again, you got everything to gain. Excuse Number Five. I don’t know anything. Well if you are reading this, you know how to use a computer. Google it, Wiki It, go to the Library. Study, Do, Mentor, Get Mentored, Give then Take; Take away new knowledge, a little at a time, until it all comes together. You have everything to gain and nothing to lose by becoming a Leader.